On Saturday, Team Beeriety and some friends including Susie from We Are Not Martha headed down to the American Craft Beer Festival on Boston’s waterfront. 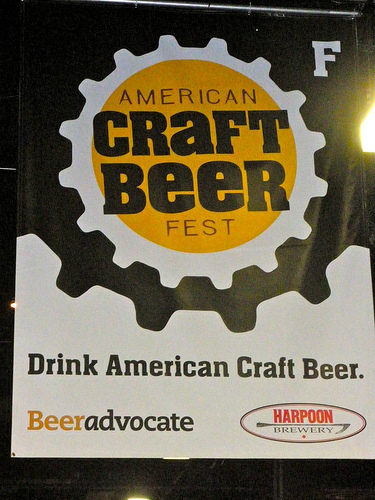 It was an amazing array of 75 American brewers with over 300 different craft beers to sample. There was a lot of unusual beers and beer lovers at the festival and we did our best to check out as many of them as we could. The beer was fantastic and while we all had our individual favorites, there was a general consensus that Pretty Things Beer & Ale Project was the break away star. Considering this small brewery run by a husband and wife team has only been around for about a year their beers show an astounding amount of sophistication and deliciousness. Their labels also live up to their name as some of the prettiest I’ve seen in awhile. They are surely a brewer to keep an eye on. 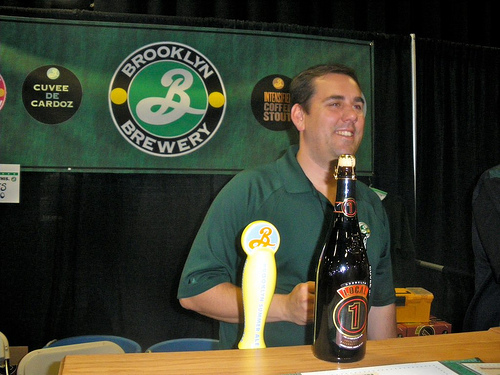 Another favorite was Brooklyn Brewery’s Intensified Coffee Stout. Brooklyn has long been one of the most prominent craft brewers in America and this new brew showcases why. I’ve known and loved many coffee stouts, but never have I tried anything that so thoroughly captured the taste and mouthful of French press coffee and stout. Southern Tier Brewing Co. – Imperial IPA. 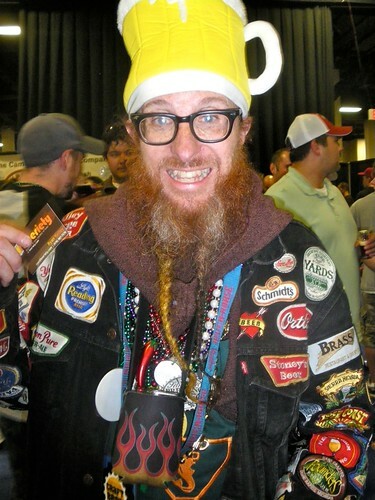 There was also plenty of interesting people in attendance, like Woody Chandler, the ‘beer monk’. 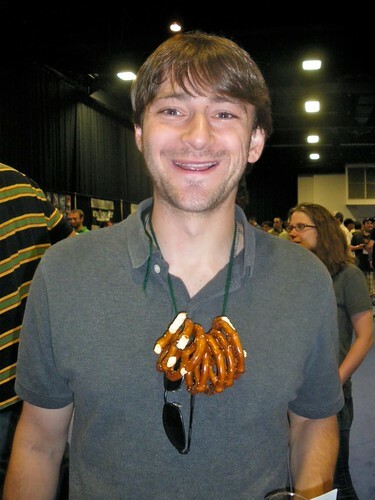 Several people also had curiously placed a necklace of pretzels around their necks, which I’d never seen before but seems like a great way to snack while keeping two hands free for beer. 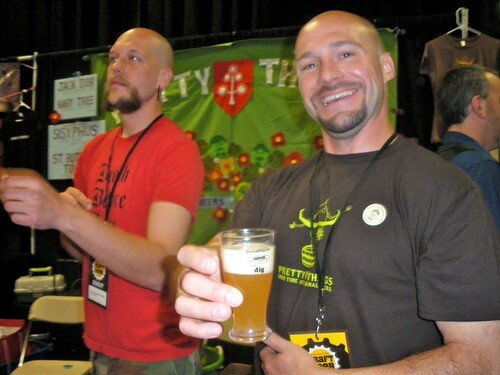 We’ll have more on the beer fest and exclusive interviews from the floor with brewers and attendees alike once we have a chance to sort through it all. Until then check out the rest of the photos from the fest on the Beeriety Flickr account and let us know if you attended and what you were drinking in the comments!